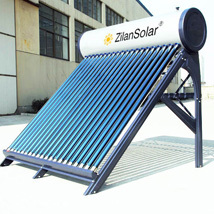 Haining Zilan Solar Technology Co., Ltd.Haining Zilan Solar Technology Co., Ltd. Solar water heater is a simple,reliable,and cost-effective technology that harnesses the sun's energy to provide hot water for homes and businesses. Solar thermal panel is ideal for heating the water in your swimming pool, bathtub, shower,and faucets, both at home and at the office. Solar water tanks are used in solar heating packages as buffer tanks.The water heated in tank for later use! 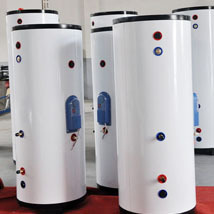 Most tanks contain a heat exchanger to separate potable water from solar heating solution (water/glycol), and have a great insulation that can retain the heat for day. 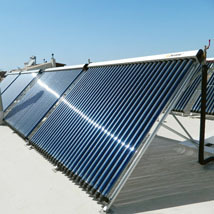 Solar accessories is used to assemble and mount solar water heaters, solar thermal panels and water tanks. 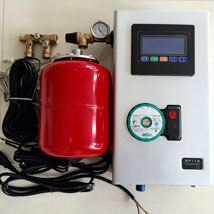 They covers solar vacuum tubes, solar pump station, solar controllers, feeding tanks and backup elements. Copyright © 2014 ZILAN . All rights reserved.